Editors note: Photos are included with this press release on Marketwire's website. 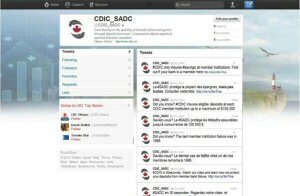 The Canada Deposit Insurance Corporation (CDIC) celebrated its 45th anniversary today by launching its official bilingual Twitter profile, @CDIC_SADC, to help spread awareness of deposit insurance among Canadians. "We are thrilled to celebrate our 45th anniversary with the launch of CDIC's official Twitter profile today. Protecting Canadians' deposits is a responsibility we take very seriously, and part of that responsibility is to ensure that Canadians are aware of CDIC's coverage," said CDIC's President and CEO, Michèle Bourque. "Twitter is a rapidly growing platform used by more and more people every day. CDIC is always looking for new ways to connect with Canadians to inform them about our programs." CDIC was created by Parliament in 1967 to protect Canadians' deposits at member institutions in the event of an institution failure. Since then, CDIC has dealt with 43 member institution failures and protected close to $26 billion in deposits held by some 2 million Canadians. CDIC insures in excess of $600 billion in deposits at 83 member institutions. CDIC will be utilizing Twitter to engage directly with Canadians for real-time updates and information on deposit insurance. 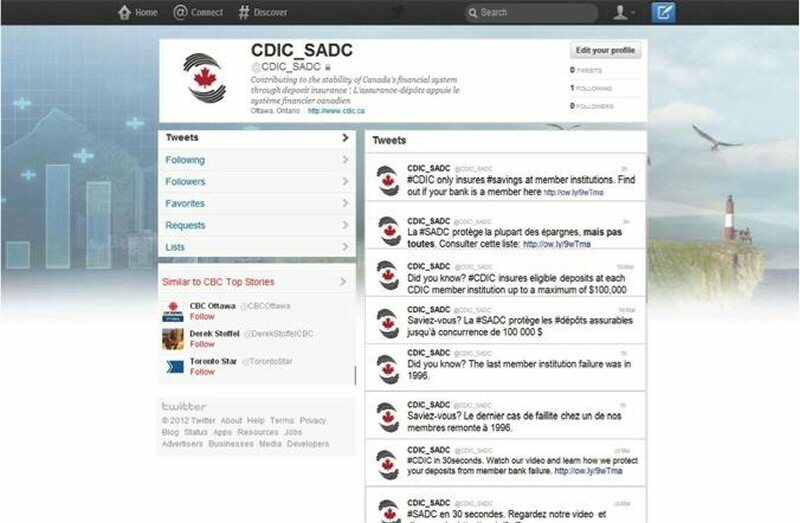 For more information, visit www.cdic.ca or follow us at www.twitter.com/CDIC_SADC. CDIC is a federal Crown corporation that provides deposit insurance against the loss of deposits with its member institutions in the event of their failure. Eligible deposits are automatically insured from $1 to $100,000 per person at each member institution. CDIC members include Canadian banks, loan companies and trust companies that take deposits, as well as retail associations governed by the Cooperative Credit Associations Act. CDIC is entirely funded by premiums assessed on its member institutions and does not receive federal tax dollars. As at April 30, 2011, CDIC insured $622 billion in deposits at its member institutions.